As promised I am posting pictures of us at Rodgie's wedding. Sorry it took a long time but believe it or not, the photos from the official photographer were sent to Gie and Eugene only last weekend. Anyway, this was from the photobooth. It's the IN thing now. Look at our wacky pictures! They're great, aren't they? 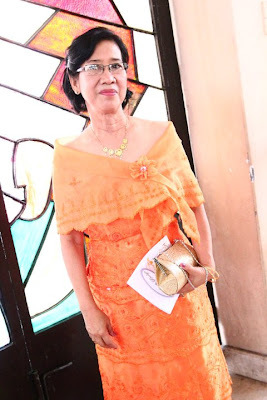 To my surprise Mommy wore a shouting tangerine gown on your daughter's wedding! See, doesn't she look like a Reyna Elena in a Flores De Mayo? 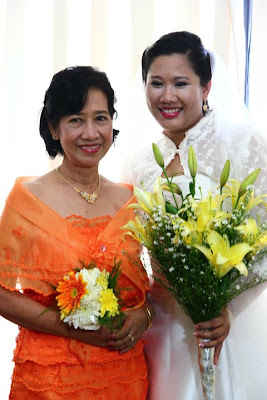 Mom and the lovely-only-on-her-wedding day-bride, hahaha! 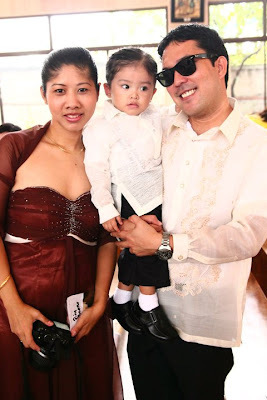 Everyone in the family were dressed in gowns and barong that we looked like we're going to attend a SONA. I almost didn't recognize these are my cousins! 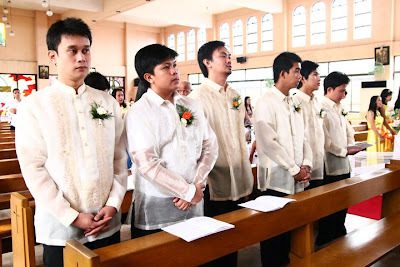 All were handsome in barong.. Your grandkids were lovely and dashing that day too. 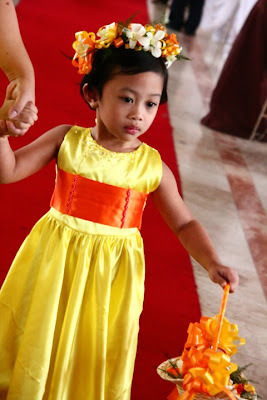 Eone was with fever and was not in her happy self but still managed to walk down the aisle and throw flower petals. Jeje proudly carried the rings (and dropped the pillow with the rings 3 times which was actually quite funny). 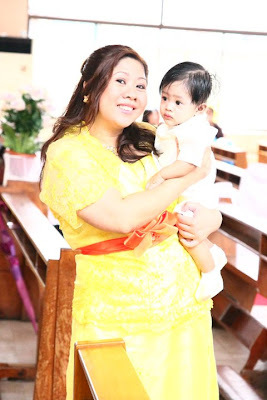 ﻿By the way, even if Gie dreaded what I have to say about her on her wedding day she still asked me to give them a short message, like a toast to the couple except that I held a water glass instead of a wine goblet. I didn't say much. I only told her how God works in mysterious ways and that unbelievable as it may seem, it was you who wanted it most that she ties the knot with Eugene. No, I did not mention she should tie the knot on Eugene's end a little tighter, hihihi. 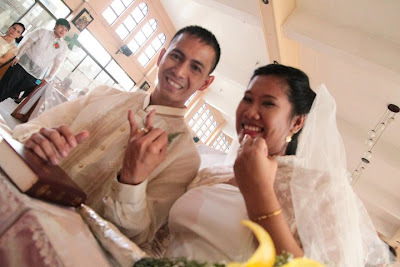 The newly weds giving the priest "the finger" LOL! ﻿We were all thinking of you during the entire ceremony. I had to fight back my tears a lot of times when we pose for family pictures. 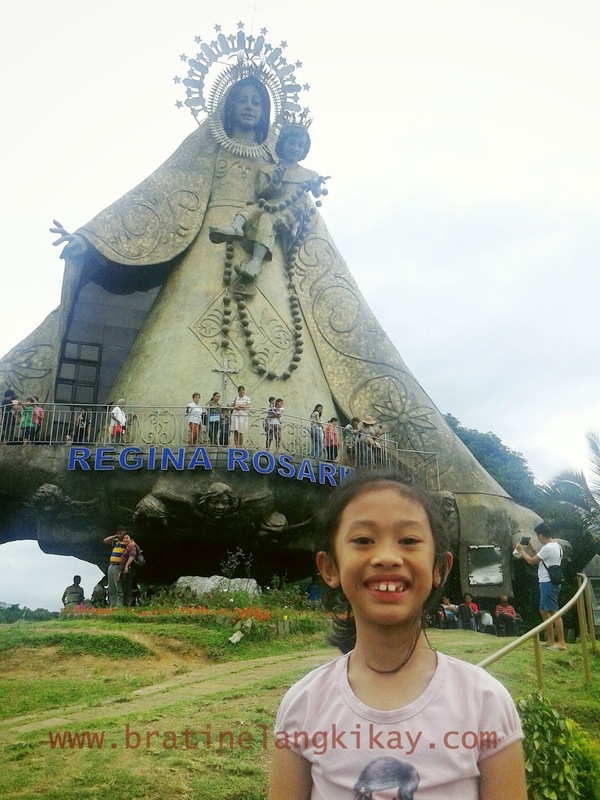 I miss you a lot! 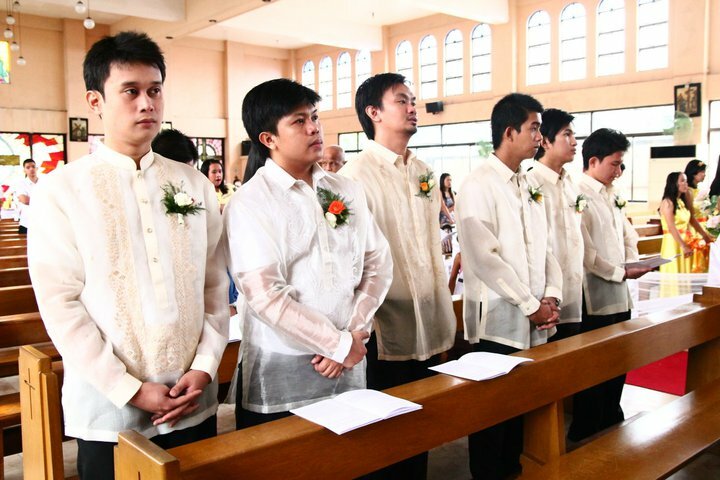 haha, i can't imagine daddy wearing a barong on my wedding. he'll probably be the only person in the entourage to wear a polo shirt.. (or maybe a sleevelsss t-shirt).